Do you ever walk into a shop and feel instantly connected to the owner? This happened to me the second I walked into Bunches, a local florist in Lincoln Park. The most beautiful and unique flowers I’ve ever seen transported me to another land! And then after meeting Marc, the owner, I knew I’d found my new favorite place to shop! Marc is a wealth of knowledge and shared with me some fascinating and very usable advice around all things flowers! What do you recommend for an easy wintertime plant? 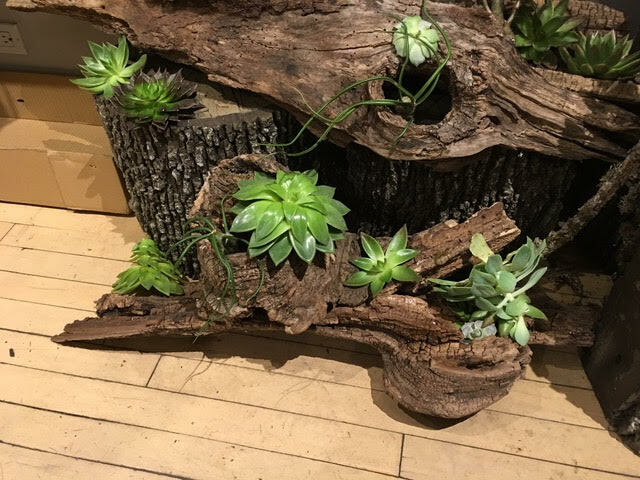 Succulents are a great option for people looking for something you don't see in an office lobby. They work really well in an any sort of pot, or a terrarium. They are very low maintenance and add a very cool, modern spark of green. 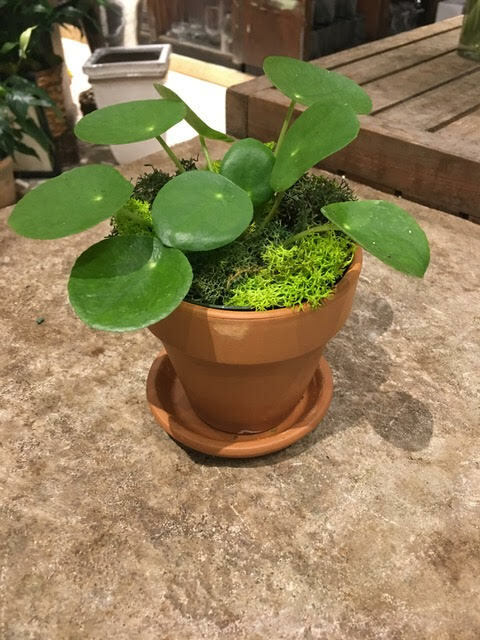 Another plant is Pilea, nicknamed the friendship plant because it is very easy to share a small shoot with a friend that will then grow into a new plant. These guys are adorable little plants and very easy to care for. In Wintertime we sell a lot of bulb flowers like tulips, hyacinth, and daffodils. My word of caution here is that a hot house is the enemy of these plants! They like it cool! We will set them clay or ceramic pots and cover the top with moss for a very cute presentation. Zamioculcas Zamiifolia or Z Z Plants are one last favorite for winter. They require very, very little water, light, or maintenance, and are nearly foolproof plants. Marc, can you put this great debate to rest: What is the best way to water an orchid?! Lots of people are very passionate on one side of this debate or the other. Some people swear by watering orchids with ice, while others kill every last one of their plants this way! I believe watering with ice is not a good idea for a few reasons. First, orchids don’t come into contact with temperatures this cold in nature, so the shock could kill them. Next, water left in the crown of the plant will lead to rot and death. How to effectively water your orchid: Remove the orchid from the decorative pot it is sitting in and run water through the plastic grower’s pot. Let it drain! Also, do not remove the orchid from the plastic grower’s pot unless it is being repotted. Do you have any cool ideas for a fresh take on Valentine’s Day? We are not necessarily a rose-centric shop, so I tell people to think about Valentine’s Day flowers in terms of what is seasonal, and look beyond the rose! I love a lush seasonal mix with a few garden roses sprinkled throughout, or even a fun terrarium! As a florist, my absolute favorite part of my job is creating bouquets for customers, even right in front of them! I love sharing my knowledge and building something unique before someone’s eyes. Thank you so much, Marc! Please visit his incredible shop!